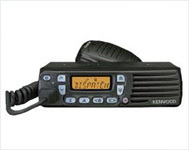 Kenwood TK-7100 is Compact Synthesized FM Mobile Radio. 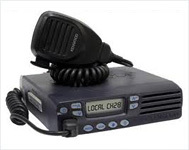 Kenwood's TK-7100/8100 Mobiles are designed to play the leading role in your communications .These radios are also built tough Enough to withstand all the rigors of today's demanding applications. Kenwood's TK-7160(H)/8160(H) mobiles provide the performance, power and quality for reliable communications in a wide range of mobile applications and environments. Advanced features include a 128-channel/128-zone capacity, Fleet Sync� and voice-inversion scrambling.